Tucked away behind the hustle and bustle of Magill Road is the Pepper Street Arts Centre where local artists, volunteers, and creative souls can collaborate and hone their craft. The exhibitions, art classes, workshops, gift shop, selection of art books and Dorrit's Coffee Shop means that visitors can spend hours in this space that inspires creativity. The Pepper Street Arts Centre is a relatively new hub being in existence for almost 20 years; it is an arts and cultural initiative funded by the City of Burnside that aims to support creative endeavours for artists, and promote the arts in terms of appreciation, education, social engagement and wellbeing for all patrons. The community has embraced this enterprise and the space is now a fixture in the local art and social scene. It is a fantastic launch pad for emerging artists as well as a venue for established artists to exhibit their work. The upcoming exhibition, 'Renew', that is part of this year's SALA Festival celebrates the ingenuity of the artistic spirit. Working within the theme of recycling, upcycling, reusing and repurposing, 50 artists have viewed the world around them with fresh eyes and created exciting new works of art. At first glance these works, from objets d'arts to sculptures, ceramics and glass, are simply stunning pieces of art but on closer inspection viewers find familiar everyday objects. 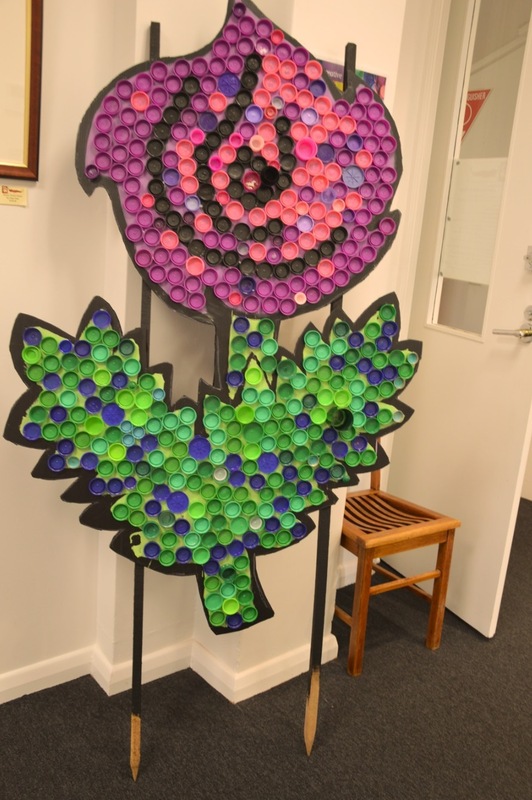 Old cutlery, used coffee pods, stationery items and rubber tyres are just a few of the materials that have been reused, repurposed and renewed. The level of repurposing also varies from the easily identifiable to barely recognisable. The intriguing thought process and techniques used to reintroduce these familiar items is part of the attraction and draws the audience into the artists' minds. The audience is given an insight into how the artists explore the possibilities and immerse themselves in the process of creating unique pieces of art. Renew encourages people to consider the environment and certainly brings more than just a little creativity into how we can prevent everyday items from being sent to landfills. The launch on Sunday 2 August will feature artist demonstrations and special guests. Artist Evette Sunset will speak about her environmental arts practice, and Finding Workable Solutions provides a look into the not-for-profit organisation, which brings creativity and employment solutions to dealing with our hard and other rubbish. Associated activities bring bottle top art to the fore and viewers are encouraged to join in the development of a community friendship blanket with a twist of ingenuity that must be seen to be believed, with artist Jane Skeer. Viewers can also join Danica Headland in the creation of a community mandala. Innovative garden art and upcycled totems created by local children will be on display throughout the exhibition demonstrating that the only limits to such projects is the imagination. 15 August, 2pm–4pm, Turn trash into treasure and found into fabulous. Join artists Jane and Danica to bring nanna's blanket and the community mandala to fruition. No bookings required. The Pepper Street Arts Centre holds 12 exhibitions a year aiming for a balanced program of small to large groups, themed and diverse showcase of works. Not all artists are from Burnside, nor are they required to be, but all programs have the Burnside community at heart. To find out how you can become involved with the Pepper Street Arts Centre and for more information on current and upcoming exhibitions visit www.burnside.sa.gov.au or email pepperstreet@burnside.sa.gov.au You can also drop in Tuesday to Saturday 12 noon–5pm to chat with the friendly staff and learn more about the volunteer opportunities available. Entry is free. Pepper Street Arts Centre is a really interesting and inspiring place to visit.